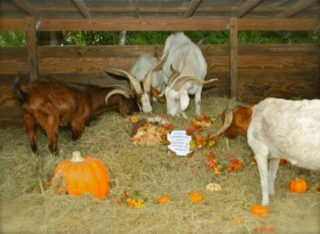 Sarasota in Defense of Animals is inviting supporters to celebrate “Thanksliving” and autumn by attending the nonprofit’s Fall Pumpkin Picnic on Sunday, Nov. 4, from 11 a.m. to 3 p.m. The event will be held at 5649 Old Ranch Road in Sarasota, a news release says. Attendees will be able to meet the sanctuary’s resident turkeys, Stan and Bull, who “are especially thankful this holiday season!” the release points out. Food and beverages will be provided by the Daiquiri Deck, the release adds. Tickets are $30 per person. To purchase a ticket, click on this link. Sarasota in Defense of Animals is a no-kill, 501(c)(3) nonprofit sanctuary.